OBEY adds Steam Cards, Badges, Backgrounds, Emoticons! 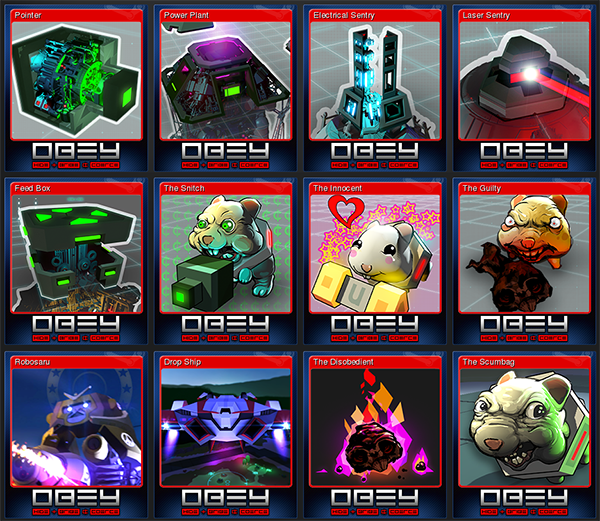 As of today, OBEY will now grant collectible OBEY Steam cards to your Steam Inventory! Matching a set of OBEY cards can be used to craft OBEY badges, emoticons, and backgrounds. I made them all myself, just for YOU!